Tzatziki on my sausage makes me haaaaappppy! Tzatziki is also called raita and, at my first restaurant job, triangle sauce, because we put it on the spanakopita triangles. It’s the only way I eat yogurt. Pretty much the only way I eat cucumber. And dill (except for rye bread dip). 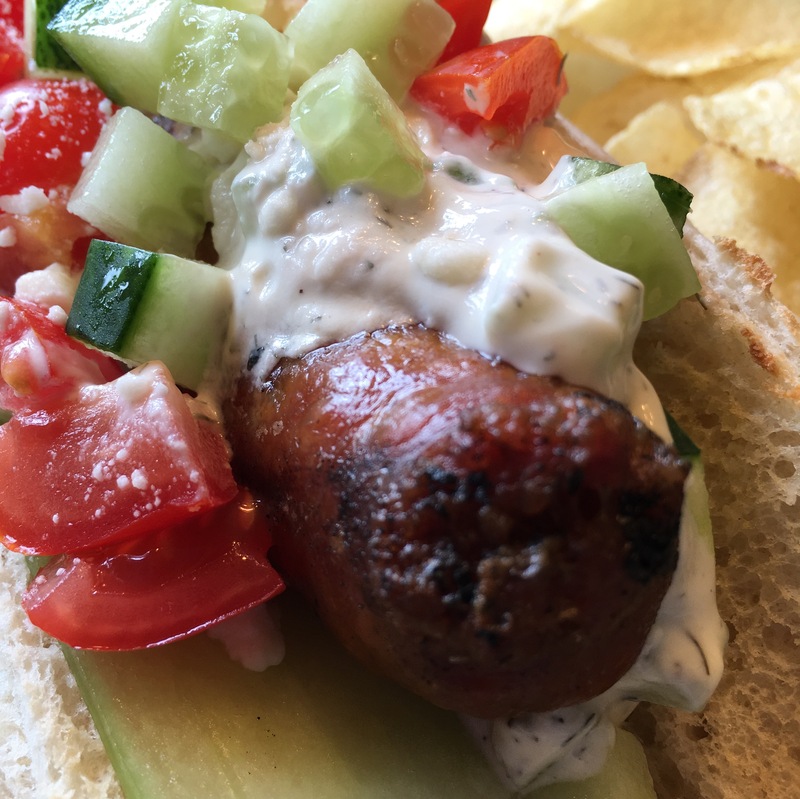 Tzatziki is a law unto itself, and it is a revelation on grilled sausage.